Hair transplant surgeries are one of the most popular cosmetic procedures Americans get every year. Getting your hair back can be an invigorating experience that boosts your confidence and makes you look several years younger. 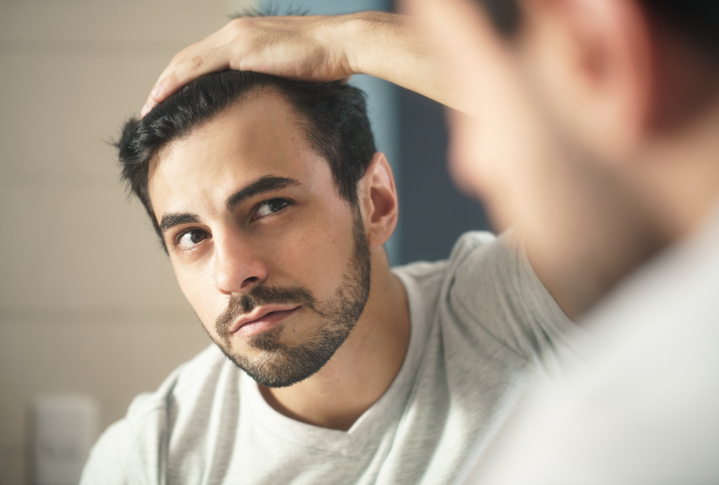 What Can I Do After a Hair Transplant? After your procedure, your hair transplant surgeon will prescribe special shampoo for you to use on your hair while your scalp heals. You should not use regular shampoos on your hair following the procedure, as they contain harsh chemicals that can irritate the new wounds on your scalp. Follow your surgeon’s instructions, and use the prescribed shampoo for the recommended time period (typically 2 weeks or so). Once you have completely healed, you can go back to using your favorite shampoo. While it may be enticing to style your hair when you go out immediately following your procedure, be careful about applying anything on your scalp or hair! Similar to shampoo, you should refrain from using other hair products like conditioners, gels, hair sprays, mousse, and serums until you’re healed. Most hair products contain harsh chemicals that can serve as irritants for your wound, so they can also lead to infections. Your hair transplant surgeon will let you know which products you should and should not use following the procedure. Be sure to discuss any products you may have a question about with your surgeon before using it. Haircuts are essential to styling your hair the way you want it, but you should avoid getting a haircut while your scalp heals. During a haircut, sharp tools and brushes are involved, which can irritate the wounds in the scalp. Once you’ve healed completely, you can get your hair cut any way you want it. However, keep in mind that your new hair will not be visible immediately following your hair transplant procedure. In fact, it will take several months for the new hair to grow out and be visible. When the new hair begins to grow, you may get it cut and styled the same way you would with the rest of your hair. While these tips apply to most patients getting hair transplant procedures, the best person to ask for hair care tips following a hair transplant is your surgeon. Your hair transplant surgeon will understand your medical history and the type of procedure you received. Be sure to follow their advice and instructions following the procedure. If you suffer from hair loss and are interested in getting a hair transplant procedure, Northwest Hair Restoration is the place for you. Dr. Robert Niedbalski is the most experienced hair transplant surgeon in the Pacific Northwest and can help you reverse your hair loss. Call (253) 572-2949 to make an appointment today. You can also request an appointment online. We look forward to helping you like what you see in the mirror.